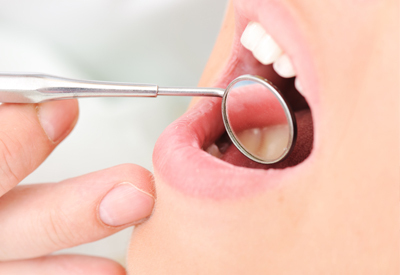 Scaling and root planing is a type of deep dental cleaning in Sacramento, CA in which Dr. Andrea Joy Smith uses special instruments to remove plaque and tartar deposits from below the gum line. Once these deposits are removed, root surfaces are smoothed to discourage reattachment of the gums to the tooth surface. If gingivitis has progressed to early periodontitis, Dr. Smith may recommend this procedure for you. Gingivitis occurs when bacteria that live in plaque deposits irritate and inflame the gum tissues. When plaque is not removed properly, it can harden into a substance known as tartar, or calculus. This affects the gum tissue by causing it to pull away from the teeth and form pockets that trap plaque and bacteria. If left untreated, gingivitis can progress into periodontitis, a condition for which there is no cure but can be managed and treated if detected early enough. Before beginning the procedure, a local anesthetic is administered to reduce any discomfort that may occur. Specialized hand instruments and ultrasonic scalers are then used to remove plaque and tartar that has accumulated below the gum line. The roots of your teeth are cleaned and smoothed so that the tissues can heal and reattach to the tooth surface. The goal of scaling and root planing is to remove harmful bacteria, plaque, and tartar from the mouth and encourage gum tissue to reattach to the teeth. After the procedure, patients must take extra care to maintain good oral health. Keeping the mouth free of plaque is a major part of preventing gingivitis and periodontitis from progressing. Scaling and root planing procedures are often best for patients who are in good health and have not had any recent surgeries. It is also most effective during the stages of gingivitis and early periodontitis to prevent a worsening condition. To find out if you are a candidate for a deep cleaning in Sacramento, CA, contact Dr. Smith and schedule your consultation today!